Accessible to guests of MGM hotels and MGM properties. Plan all day for Shadow Creek so you don’t miss any part of this extraordinary golf experience. 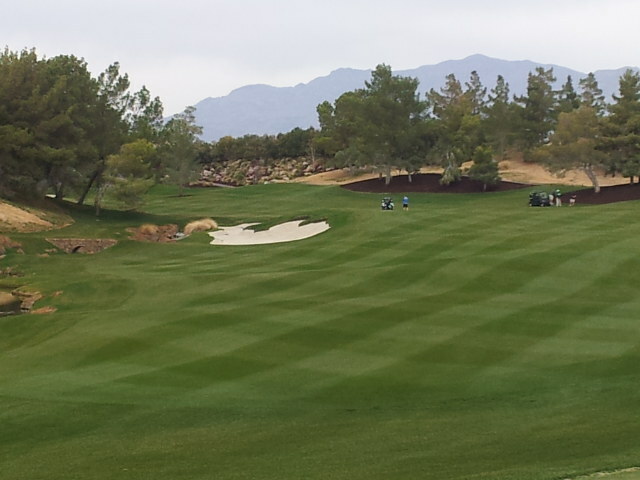 Shadow Creek presents you a version of the game you can’t enjoy anywhere else in Las Vegas. In fact, unless you have access to high-end courses such as Augusta or Secession, this may be your only opportunity for golf at this level. Shadow Creek picked us up from our hotel in a MGM house limousine, then greeted us at the clubhouse front door with our caddie, Nick, and a manager. Nick carried our clubs to the driving range while the manager directed us to the lounge inside the clubhouse. He asked us to enjoy food and drink as long as we wished, then proceed to the locker room where he would deliver our golf shoes. The abundance of personal attention and lack of schedule felt luxurious to us. It didn’t stop there. The large locker room has two more comfortable lounge areas, HD TVs, wood lockers, and attendants to serve your every need. We took our time to relish the locker room comforts for a good, long while before and after our round. Nick was waiting with our clubs a few steps outside the locker room and escorted us to the driving range. He did everything except swing our club. The course is manicured more finely than any course I’ve ever played and feels like a Midwestern course despite its desert location. They trim the grass around rocks and streams more meticulously than other well-maintained courses we play. Playing with a caddy is always a treat, but it’s especially cool at Shadow Creek. The combination of Nick’s perfect reads and the fast, true greens made putting a unique pleasure. Nick measured the distance to every pin with a range finder without asking, cleaned each club after each shot, and regaled us with stories of pro golfers and celebrities on every hole. There is absolutely no rush; only a few rounds are played here each day. 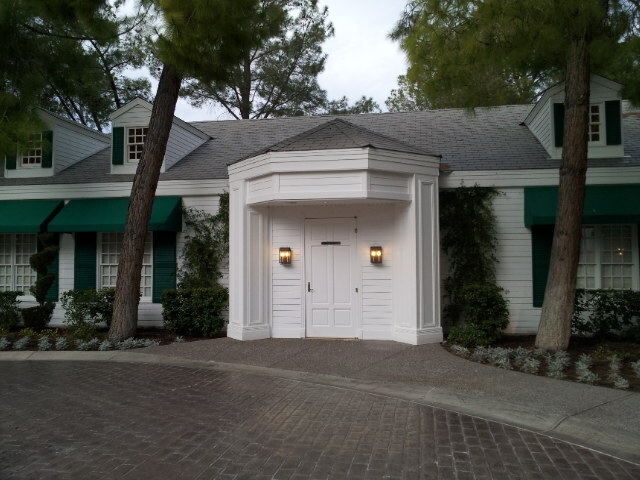 The only entrance to Shadow Creek is via a staffed security gate that permits only MGM house limousines. They won’t allow you to drive your car onto the property; there’s no parking lot even if they did. Depart your MGM hotel no later than mid-morning and plan on returning around sunset. If you schedule your day too tightly with other activities, you will risk missing part of the glorious day that every golfer deserves at Shadow Creek.